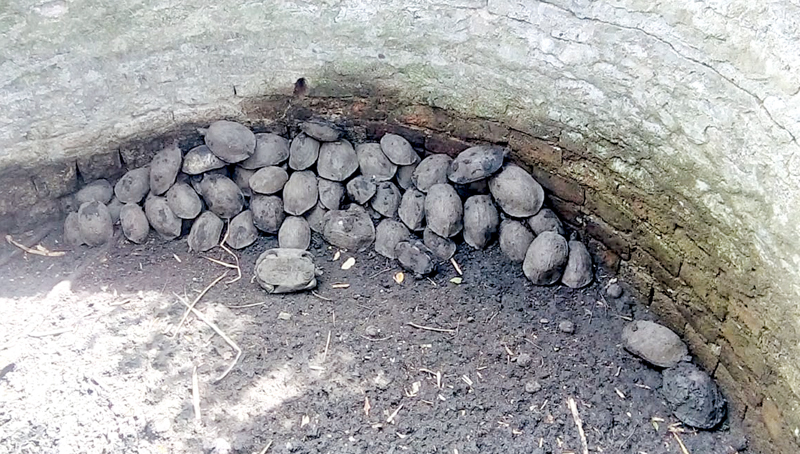 Wildlife Officers of the Horowpatana Office rescued 91 tortoises including 89 Black tortoises and two softshell tortoises fallen into an abandoned well close to the Pahaladivilawewa Lake in Horowpatana on Saturday (18). They found the tortoises on a tip off and rescued them along with residents of the area spending over two hours on the mission. The officers released the tortoises to a catchment area of the Horowapatana National Park yesterday (19).